There are two new branches of western medicine – Autoimmunology and Epigenetics. Autoimmunology is the science/study of the origin of and effects arising from our immunity system continuously attacking the very body it is meant to protect. Epigenetics is the science/study of the origin of and effects arising from nongenetic influences on gene expression. This subject is not germane to this series. Autoimmunology is believed to be the underlying mechanism of almost every known degenerative disease. It is a process by which your own immunity system is destroying your body – not because it has gone out of control, but because you yourself are continuously feeding your body with materials that trigger the IS into action. Diseases such as Lupus, Irritable Bowel Syndrome, Ulcerative Colitis, Crohn’s Disease, Multiple Sclerosis, Rheumatoid Arthritis, Diabetes, degenerative brain diseases including Alzheimer’s and Parkinson’s, Psoriasis are now said to be autoimmune diseases [AIDs]. Difficult to believe on the basis of current Medicine? So it is. AID can be detected about 5 years before any symptoms are detected, but that does not happen. 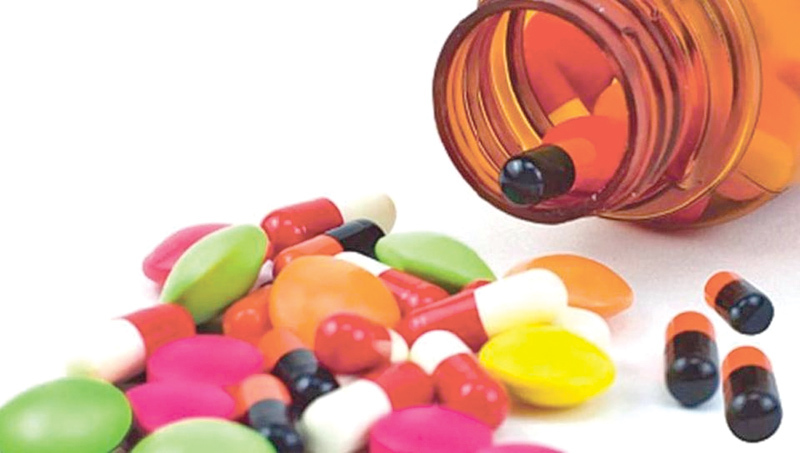 The present-day medicine treats the symptoms when they appear; the symptoms are regarded as specific diseases and treated accordingly either killing the symptoms and suggesting a cure or worsening the disease. Functional medicine, on the other hand, recognizes the autoimmune reaction and treats the cause not the symptoms. Sometimes it is just a matter of removing or avoiding some foods, chemicals or pollutants from your lifestyle. Professor Yehudi Shoenfeld, MD, FRCP [Hons] from Israel, respected as the godfather of Predictive Autoimmunity. There are hundreds of others including many who are as highly qualified and experienced as the above-named. They all are, very definitely, not “quacks”. Most people have sensitivities to various foods, drinks, chemicals and other pollutants. Such sensitivities are due to the individual genetic build-up. They show up in some people with allergies while they do not show up or are hardly noticeable in others. Allergies must be viewed in a deeper way. Merely treating with antihistamines is a temporary cure. People who do not show up allergies can have unknown sensitivities. Unfortunately, such sensitivities can be silent killers. We are sensitive to a wide range of substances to which our grandparents were either immune or did not encounter. That shows that our bodies are genetically changing to adapt to our current environment and losing the battle resulting in autoimmune reaction and early death. The fact is that the changes in the environment are multi-fold and taking place at a pace too fast to be followed and countered by the body – resulting in autoimmune action leading to degenerative diseases. We, the uninitiated, can accept this science. It synchronizes with what we already know. It is common knowledge that there is reactive oxygen in the environment and, that it can enter our bodies via inhalation, food, contaminants etc. and that it can damage cells. That is why we are exhorted to take antioxidants. Body cells are continuously replaced. Some in a few days, some in seven years. In this way, one gets a new body every seven years or so, but unfortunately, by that time most other cells are old. As such you do not feel young every seven years. Cell damage can take place at the very beginning of cell formation, during its conversion to specific cells such as bone cells, muscle cells, specific organ cells etc. , and at the converted cell stage. The damaged cell does not act according to the genetic message it acquired as a healthy cell; it does not perform the function it was meant to do. As a mutated cell, it has an altered message and it acts accordingly thereby forming foreign “organs” or growths - cancers. Similarly, damaged cells can cause other degenerative diseases. In the good old days, environmental pollution was not even heard of, but even so, there was reactive oxygen. This was at a very low level in general. The immune system could easily handle and overcome reactive oxygen then. As a result, our grandparents were healthy. Now we are suffocating in pollution. We are overwhelmed by air pollution; we are overwhelmed by equally serious pollution of food, water and soil too. Our immune system is overwhelmed. Most people do not bother to protect themselves by taking well-prepared antioxidants and clean antioxidant-rich vegetables and fruits. Even that is inadequate. One has to be careful about one’s sensitivities too. There are numerous descriptions of what seem to be miraculous cures for serious diseases through Functional Medicine. But the diagnoses and cures are very commonplace. Just to illustrate this statement I shall relate just one episode from many because of restrictions of space. The narrator is one of the main promoters of Autoimmunology and Functional Medicine, a doctor with qualifications DC, CCN, DACBN and a world-renowned expert on gluten-related disorders. His father died suddenly, assumed to be from a heart attack. After an autopsy, the chief pathologist of Detroit, a family friend, called to inform that the death was not due to a clot, that the deceased had only 30% blockage in a particular coronary artery called the “Widow Maker” – which was insufficient to cause death, that toxicology screening results were negative, that he had no needle marks on his body and a lung biopsy did not show inhalation of any toxic substance – and as such, for the second time in his career he does not know the cause of death. That led the narrator to start his own research. He found that the cause of death was undetected high homocysteine levels – a condition called Elevated Homocysteine Levels [EHL]. It is caused by an insufficiency or high deficiency of Vitamin B, which in turn was caused by inflammation of the gut due to gluten from wheat, which the deceased ate every day. The condition is called Celiac Disease. And the good news is that EHL can be eliminated by an intake of Vitamin B for about three weeks and later provide it to the body on a regular basis through food or supplements. Practice of medicine is art however application to each and every patient is based on scientific facts principles clinical judgements and opinion of experts scientific evidence clinical trials logic and reasoning. It must be noted all chemical products released as for treatment must undergo clinical trials in different phases before introduced to therapeutic uses.